Our internationally patented technology modifies the characteristics of leather directly during milling operations. We designed our Chemical Milling technology to facilitate a range of secondary operations that can be performed during the milling process. Chemical Milling offers the triple benefit of: manufacturing flexibility and consistency in large scale production lines; labour safety and efficiency; and environmental protection. including an innovative pre-humidification unit specifically designed for particularly delicate leathers such as: aniline, vegetable, suede. Our integrated automatic computing system with 10” colour touchscreen PLC. This has been a standard for all Erretre machines for many years now, and is our own bespoke system developed and supported by the Erretre software division. This is our complete milling drum automation software. It networks all machines equipped with LCIS, to extend the control and programming of the drums to a central computer Host. in order to shorten the drying and pre-heating times. in order to guarantee the best liquids dispersion during milling operations. 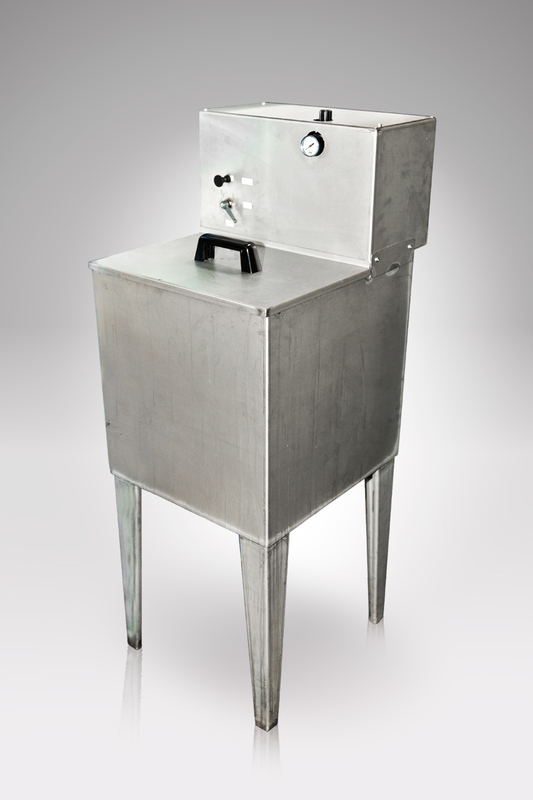 100L INOX steel tank equipped with pneumatic valve and pump, liquid level control and accessories. Characterized by an independent cooling unit useful in hot or tropical zones where the optimal milling parameters cannot be respected due to environmental factors. Integrated automatic computing system with 10′ colour touchscreen PLC. Complete milling drums automatization software. to centralize the drum’s controls and programing features.